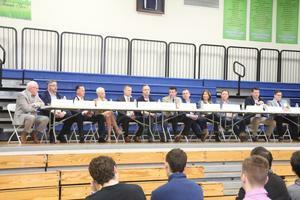 On Friday, April 5th, seniors and juniors took part in an all-day program including presentations, question and answer sessions, and small group discussions with parents and alumni who had volunteered to share their time and expertise with our students. 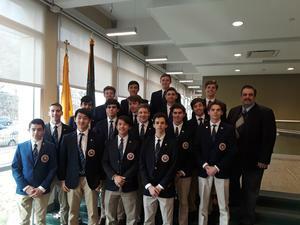 The juniors also engaged in a resume writing session, and the seniors began the process of professional networking through LinkedIn and the OP Alumni Association. 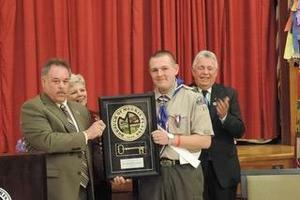 Matthew Enderley, a member of Morris Plains - Boy Scout Troop 39, was honored and awarded for achieving the highest rank in boy scouts, on March 10, 2019 at the Morris Plains Community Center. More than 60 people were in attendance, including BSA members, family and community officials. Local government officials included Morris Plains mayor Jason Karr (pictured) and members of the Morris Plains Borough Council, as well as a representative of the Watnong VFW Post 3401. Matthew’s achievement was celebrated with speeches, multiple awards and honor of the highest order. 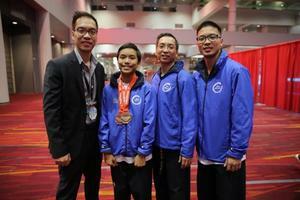 Freshman Jake De Guzman earned the Gold and Bronze medals for Freestyle Poomsae Team and Pairs Junior Divisions at the 2019 U.S. Open Taekwondo Tournament in Las Vegas, Nevada this past weekend. Congratulations Jake! 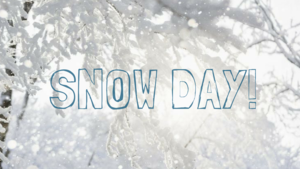 Due to inclement weather, Oratory Prep will be closed on Monday, March 4. All after-school activities and sports are canceled. Students should check Netclass for assignments. 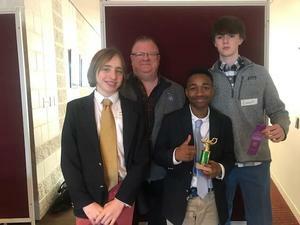 A successful event for the Middle School Forensics team of Colin Reis, Harold Fullilove and Conall Gorman. Harold won second place overall. Thanks to Coach Dr. Sherry and trip advisor and judge Mr. VanHoven. On Friday, February 22nd the Cadet Corps attended a luncheon and meeting with His Royal Highness Prince Adnan El-Hashemite, member of the Iraqi Royal Family and NGO to the United Nations at Felician University. The National Merit Scholarship has now determined which of the 16,000 Semifinalists named in September 2018 have met all requirements to advance to Finalist standing in the competition. Congratulations to Fernando Aviles for achieving this milestone by demonstrating through distinguished performance high potential for future academic accomplishment. 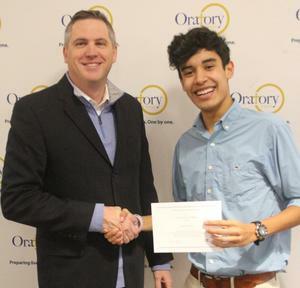 Fernando is Oratory Prep's 7th Finalist in the last 7 years. 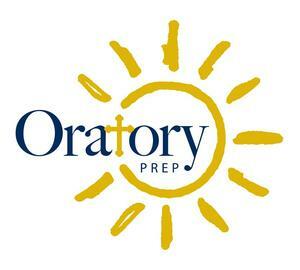 On Thursday, February 21, Oratory Prep will be on a two-hour Delayed opening. All students should report to school by 10 AM. All buses and shuttles will run on a two hour delayed schedule. Please drive carefully. 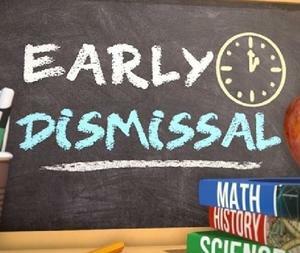 Due to the forecast of inclement weather on Wednesday, Feb. 20, Oratory will have an early dismissal at 11:30 AM. All students must be picked up by 11:45 AM. All afterschool activities are canceled. The Neri Breakfast will be held as scheduled.